Test.. test. Is this thing on? Ah! Just like Frankenstein’s Monster, this blog.. It’s ALIVE. First of all, Café Zee is back on the interwebs and writing to you on the regular. I know, it’s been a while – and I promise, we’ve missed you too. I’ll fill you in on the ‘what’s been happening’ another time, this post is all about last night and most of all, how much fun we had. We spent the yesterday evening with our caffeine-fuelled friends at Artisan Coffee joining the ranks of West London’s finest coffee spots. From Farm Girl Cafe and Electric Coffee Company to WA Cafe and Ginger and Moore. 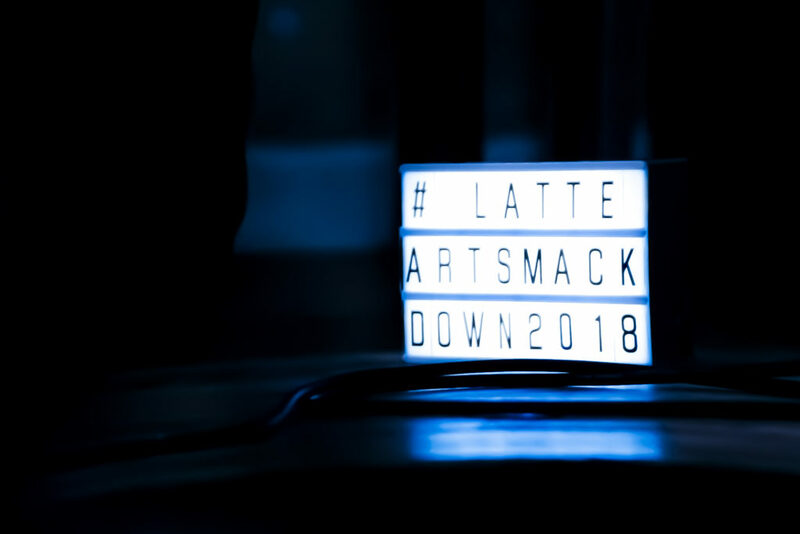 All battling it out in a latte art-off to win the coveted milk pitcher and status as the Best in the West. Flying the flag for Café Zee, meet our Head Baristas Jeanluca Murphy and Tomomi Yoshimura. Boy, did they make us proud. 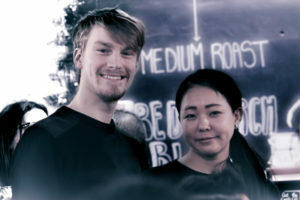 It was a night of smiles all-round for Jeanluca and Tomomi as Team Zee cheered them on in their first appearances at a Latte Art competition where perhaps the nerves may have played a certain role for our lovely pair. Kicking things off, the competition wildcard Café Brera drew first blood as Zee’s Head Barista, Tomomi, bowed out to an outstanding Rosetta. A noteworthy effort on Tomomi’s part and the competition was very, very close. Hat’s off to Café Brera, a stunning display of symmetry, contrast and micro-foam – a well deserved progression for Brera. 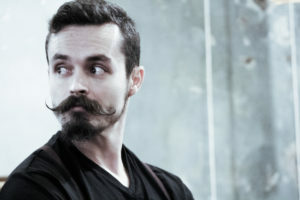 As the first round drew to a close only two baristas were yet to face each other: Zee’s very own Jeanluca and No.6 Café’s well-moustached Christian. Tulips were drawn as Jeanluca and Christian patiently waited the judge’s verdict and probably the longest wait for a verdict of the night. Pinching the victory two votes to one, Christian poured himself into the next round as the pair embraced in jubilation of Christian’s success. A sore loser Jeanluca certainly is not demonstrating great level of sportsmanship and respect for the better barista. Just look at that moustache. No trophy for Café Zee this time but a valiant effort from Jeanluca and Tomomi – and indeed all of the talented baristas that took part. A wonderful display of great coffee and new friendships forming North, East, South – and especially, West. As the night drew to a close, there could only be one winner. Taking home the Make it Ealing Convented Milk Pitcher and well deserved winners are Ealing’s own Electric Coffee Company. A huge well done to the Electric Coffee Company team! Taking home the trophy for the second time in four years and stamping Ealing’s unbeatable standards firmly on the map. Keep up to date with the Zee Family by following us on social media and tweet, tag and like us!